O (Observation): The King is addressed in this psalm. The ideal picture of a king is laid out in this psalm. The king is praised for serving the needy, he defends the cause of the poor and crushes the oppressor. The ideal king rules with righteousness and governs the poor with justice. A (Application): The cause of the poor and needy is always with us. Sometimes, we even do some good in the cause of justice for the poor amongst us. We Americans live in a nation where we believe we get what we deserve. We believe that if we are in a challenging situation – especially a financial one – we must deserve to be where we are. We must have screwed up along the way…and there is little mercy shown. Well, thankfully, I know a group of people who respond differently to poverty. Whether they follow the God I believe in or not, they are living the call of the King from this psalm: they deliver the needy, the poor when they have no helper. I went to their open house last night. They now have a space for the staff or volunteers or homeless folks to sit and gather for a brief respite. They are located in the heart of the city, close to folks willing to serve and close to folks in need. 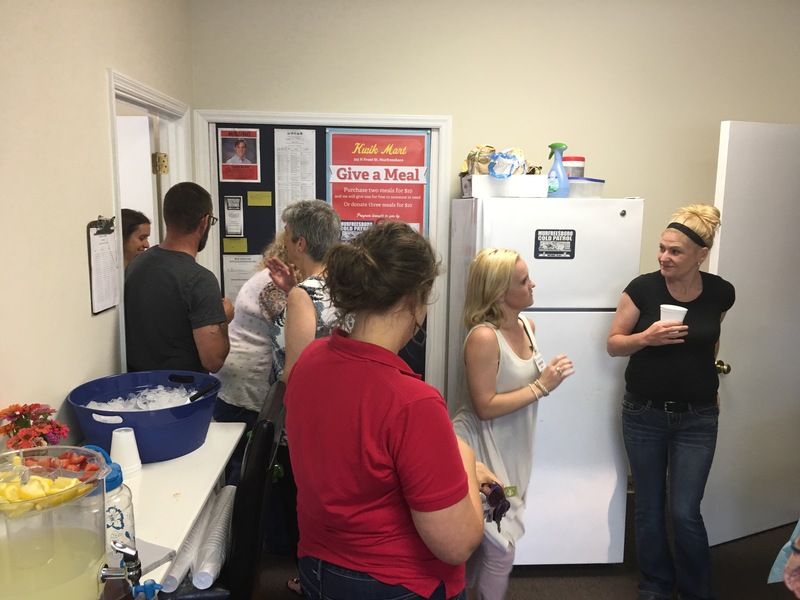 When asked how the Cold Patrol is different than other service organizations in Murfreesboro, one of the board members said the difference boiled down to one word: relationships. She said that “we go out and get to know these folks.” The other organizations in town do serve a HUGE need in terms of supplying clothing, food, housing, etc. to the homeless population. But the unique element of the Cold Patrol, is that they are intentional about going out into the streets and the woods and getting to really know the homeless population and are working on ways to connect the homeless in Murfreesboro with assistance and to find them some ways to help themselves. They are also doing some much needed work in gathering data for research on homelessness issues, that we might better serve the community, or at least to better diagnose the problems for the homeless in Murfreesboro. Well done, good and faithful servants. Thank you for bringing justice for the poor. If you would like to make a donation to the Murfreesboro Cold Patrol, click here. P (Prayer): Lord, help us to walk with the poor and needy. Might we be reminded that we are called to serve one another. Amen. This entry was posted in Digging Daily and tagged Cold, Homeless, King, Murfreesboro, Patrol, Serve. Bookmark the permalink. Reblogged this on The William Tell.